Brand New! Acacia Waters - City Access Riverbend Oasis Brand New! 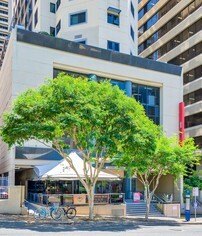 1, 2 & 3 B..
7.42% 8.16% Yields For Entry Level Beachfront Investments At Point Lookout Shop 1 $525,000 Shop 2 $..
143m2 well established tenant ground level restaurant / bar Stunning fit out, plus exclusive alfresco area car parking Secure investment amongst busy Fortitude Valley CBD precinct, residential towers, office buildings walk to Chinatown Dual street access off Brunswick Street Martin Street, 2 level abundant customer parking Rear shop access for delivery Net income approx $60,000 pa plus GST Approx Disclaimer: Ray White has not independently checked any of the information we merely pass on. We make no comment on and give no warranty as to the accuracy of the information contained in this document which does not constitute all or any part of any offer or contract by the recipient. Prospective purchasers / lessees must rely on their own enquiries and should satisfy themselves as to the truth or accuracy of all information given by their own inspections, searches, inquiries, advices or as is otherwise necessary. No duty of care is assumed by Orchid Avenue Realty trading as Ray White Surfers Paradise Commercial divisions toward the recipient with regard to the use of this information and all information given is given without responsibility. Ray White Commercial North Coast Central is pleased to offer this unique asset located at 55 Lower King Street, Caboolture for sale. Presenting a return of circa 10%, this is an opportunity not to be missed. Key Features: Modern two story, 15 room Back Packers with 120 bed capacity Prominent location, within the Caboolture Centre Incentives Area Tightly held accommodation market Only Back Packers in Caboolture Leased to September 2019 with 3 x 3 year options $250,000 per annum net income Solar Power Short walk to Caboolture Train Station and local Shopping Centre Motivated Vendors have given clear instructions to sell, present all offers! For further information or to arrange an inspection, please contact Chris Massie. Long term owner is liquidating their investment portfolio at "UniLodge on Margaret" and this presents an excellent opportunity for the savvy investor. The portfolio consists of 3 Units which can be bought separately or as one. Uni Lodge on Margaret offers market leading fully furnished student accommodation and is centrally located in the CBD close to University's, transport links and shopping precincts. This is a unique and profitable holding that may well suit private investors, Self Managed Super Fund owners or yield seeking parties as well as an opportunity for education providers who may be seeking further customer/ faculty accommodation. The newly renovated facilities at "UniLodge on Margaret" include an outdoor pool and BBQ area, a student lounge, and a fully equipped industrial kitchen. There is also a coin operated laundry area, licensed cafe and convenience store on the premises. This makes it a highly desirable accommodation centre location for students. Brisbane itself is poised for strong growth and investment in a high density inner city location could prove exceptionally profitable, with Australia's leading Demographer, Bernard Salt recently reporting that "Brisbane is on the brink of becoming a major international centre underpinned by booming population growth and a "network of cities''." 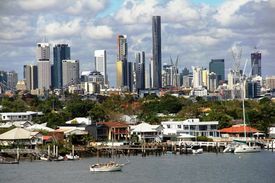 The 2017 population growth for Queensland outstripped all states in terms of net internal migration Brisbane's growth will be driven by significant population upswing, immigration, and the rise of the knowledge economy and tertiary educated workforce, according to the report. Overview of Units for Sale: Unit 910 18m2 Sale Price $117,500 Unit 2409 19m2 Sale Price $140,000 Unit 2315 19m2 Sale Price $150,000 All 3 units are currently tenanted with leases in place until the 29th June, 2019. Call Exclusive Marketing Agent Joshua Jones 0411 829 531. This charming property for over thirteen years has been the renowned ‘Cream Gables’ a council approved Bed and Breakfast home business. There are a multitude of other options for this property such as: long term room/suite rentals, a grand two storey home ideal for an extended family or the perfect set up for dual occupancy. The configuration of the property allows for all these options to occur effortlessly. This beautifully maintained residence in the heart of New Farm is a rare offering and must be inspected to be truly appreciated. An Information Memorandum or inspection is available upon request! 7 Bedrooms, 5 Bathrooms, 4 Car Spaces Ground Level: Three bedrooms and three bathrooms All bedrooms are ensuited and provide direct access to outdoor living spaces Kitchen, living and dining feature polished timber floors French doors open to rear covered patio Front enclosed courtyard Wheelchair friendly and ceiling fans throughout Two laundry’s, one internal and other in garage Two remote controlled lock up garages and two additional off street spaces First Floor: Four bedrooms and two bathrooms Master bedroom with ensuite and bay window Three of the four bedrooms open onto outdoor living spaces Spacious open plan living and dining Kitchen flows from living and dining onto large rear covered deck Private front verandah and enclosed sunroom Polished timber floors, high ceilings, VJ’s, decorative fretwork, archways and french doors Air conditioned and ceiling fans throughout Rear deck overlooking luscious landscaped gardens Outdoor sundeck sanctuary with retractable shade sail overlooking spa Positioned on a 392m2 block bordering Fortitude Valley and Brisbane City just metres from local shops, cafes, restaurants, schools and public transport. The Howard Smith Wharves have opened to the public and provides two glass lifts from the top of the cliffs to the boardwalk, one at Bowen Terrace and one in Wilson Outlook Reserve bridging the gap between the city and New Farm, the HSW includes a new riverside parkland, dining, retail, tourism centre and spaces for hosting events such as cultural and food festivals through to restaurants and the bars making this an exciting new destination for tourists and residents. This prime location allows easy access to both the Gold and Sunshine coasts and the Brisbane Airport. A well maintained owner occupier or investment property in Spring Hill with parking. 147sqm 2 ground floor stratas Owner occupier or investor $810,000 Tandem underground car parking space Glass frontage on Leichhardt Street Kitchen / staff break out area Excellent exposure Well positioned for various bus routes and approximately a 15 min walk to Roma Street Station Walking distance to local amenities including cafes, coffee shops, restaurants and bars Sold with vacant possession Please contact Your Commercial to arrange an inspection. This landmark, historic, former Woolstore building is ideally located opposite the Gasworks precinct. It has a great vibe and a variety of tenancies and end of use facilities. 2,950sqm^ NLA across 3 levels Net passing income of $1,613,589^p.a. (as at 1 November, 2018) 1,504sqm^ land parcel commanding a dominant corner position Prized heritage listed asset Unrivaled reset costs with sub 10% incentives and consistently strong rental growth Multiple strategies available for further value creation including under utilized existing area and current DA to further develop on surplus land Clear potential to increase current rental based on recent surrounding deals Diverse tenancy profile with majority of the income secured by a number of long standing tenants Ideally positioned in the heart of Brisbane's most desired mixed use precinct directly opposite Gasworks & within 1.9km of the Brisbane CBD NABERS Rating: 4.5 stars Please call Your Commercial to arrange an inspection. 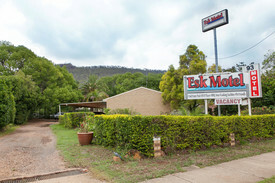 An historic hotel established mid 1800 and apos;s on the New England Highway at East Greenmount about 15 minutes South of Toowoomba The hotel is set on 1.1 ha of land with great exposure to the highway It is a two storey timber building and comprises on the ground level, a main bar, dining room, modern kitchen, office, store, ablutions, bottle shop and drive thru and a beer garden. Upstairs contains: 5 hotel bedrooms, Owners/Managers residence, ablutions, lounge/tea making room and front verandah The current owner has been operating the hotel for approximately 8 years and has genuine reasons for selling Accountants trading statements and comments are available for genuine enquirers. Turnover for 2012/2013 projected at mid $500,000.00 The business and real estate are offered for sale at $695,000.00 + SAV approx.. Situated next to the Brisbane River and near Brett's Wharf Ferry Terminal, Well known name: Hamilton Motor Inn. Five story complex offering 3.5 star accommodation and conference facilities. Included Stand rooms, Twin rooms and Family rooms. 22 rooms in total high income and life style. Turn over over $584k. Restaurant Gross floor area total approximately 510m2 Restaurant Internal 166m2 Restaurant External 343m2 Fully equipped commercial kitchen Excellent location just off Kingsford smith drive High income demographic Excellent exposure and signage opportunity Customers parkings Long lease with 3x 5 years option 15 minutes from the Domestic and International airports and 10 minutes from the heart of Brisbane city Potential: Potential for high income Potential renovation and room rate increase Potential to buy the business together with the whole building & Land Potential to redevelopment Kingsford smith drive upgrade: The Kingsford Smith Drive upgrade will involve widening the road from four to six lanes between Theodore Street at Eagle Farm and Cooksley Street at Hamilton. https://www.brisbane.qld.gov.au/traffic transport/roads infrastructure bikeways/current road intersection upgrades/kingsford smith drive upgrade hamilton Hamilton is one of Brisbane's most popular suburbs located just 7km to the CBD and easily accessible to major arterial roads. This location provides easy access to public transport and is well serviced by local amenities. Price: Contact agent Inspection: By appointment Address: 422 Kingsford Smith Drive Hamilton QLD Contact: Conan Li 0404 617 767/ 073373 9887 Email: conan.li@yong.com.au Disclaimer: We have in preparing this information used our best endeavours to ensure that the information contained herein is true and accurate, but accept no responsibility and disclaim all liability in respect of any errors, omissions, inaccuracies or misstatements that may occur. Prospective purchasers should make their own enquiries to verify the information contained herein. bull; High profile main road position bull; Comfortable owner/managers residence bull; Self contained comfortable motel units bull; Constant tourist and workforce demand bull; Approved commercial kitchen a diverse expansion potential bull; Low maintenance easily managed operation bull; Axillary self contained space with reliable tenant bull; Excellent retirement with cash flow bull; Interstate business commitment force sale Inspection by Appointment. A Grade Freestander With Underground Car Park Contact Jaems Balfour for..
810m2 of 8 metre internal clearance 16 Undercover car parks Under ground lock up garage Full live in facilities Container Height roller door access Ray White is Pleased to offer this exceptional tilt Panel Freestanding property Located just off the Service road in Springwood. Just minutes to the Motorway Connecting your business with the Brisbane and Gold Coast Corridors. 26 room boarding house Excellent cash flow with high occupancy rate Below market rent potential to increase with some improvement. One of few boarding houses left in West End / South Brisbane area 15 Browning Street presents a rare opportunity for an astute investor to acquire a prime, high income producing property in the rapidly changing South Brisbane. The property is located in the inner city suburb of South Brisbane, approximately 700 metres south of the Brisbane CBD. Of all Brisbane suburbs, South Brisbane has seen the most amazing transformation over the last few years. It is close to all means of public transports, and just a few minutes walk to cosmopolitan West End with trendy cafes, bars and restaurants. South Brisbane is also close to the Southbank Parklands, one of Brisbanes most popular destinations for locals and tourists. Benefit from the massive Kurilpa Riverfront Renewal Plan happening right outside your front door! See www.kurilparenewal.com.au for all the information. This one bedroom will settle with a new leaseback to the long term on site managers for $1350 per month for a 5 year lease plus a 5 year option with CPI yearly increases. The land here is zoned for a 30 storey building guaranteeing a great long term investment in Brisbane's fastest growing suburb. "Riverside Hotel" has been established since 1996 and boasts a 90 per cent occupancy to both tourists and business travellers. It's a short walk to the Gallery of Modern Art, Tank Street Bridge and all the cultural activities that Southbank has to offer. Elevated position on Brisbane/Gold Coast Highway Over 1ha of land with development approval to ten levels Close proximity to schools, hospital, university, Brisbane CBD and airport Suit student accommodation, medical, retail, residential, commercial or auto approximately This property is being sold without a price and therefore a price guide cannot be provided. The website may have filtered the property into a price bracket for website functionality purposes.